(CNS): Police arrested one man after shots were fired at around 7pm Saturday night in George Town in the heart of the Batabano Carnival. A spokesperson for the RCIPS said no one was injured when the gun was fired but a report to the 911 indicated the weapon had been discharged in an area that was crowded with people enjoying the festivities. The RCIPS is appealing for witnesses to the incident, which occurred around Edward Street and Dr Roys Drive. Meanwhile, as a result of an increase in crime in the area, police held a focused patrol and a roadblock in Shedden Road around the Nevlaw building in central George Town in the early hours of Sunday morning, where they stopped drivers for traffic offences and undertook stop and searches relating to the drugs law. Between midnight and 2am uniformed officers carried out road checks, where several drivers were breath tested and one person arrested for DUI. A number of people were issued tickets for other traffic offences and an undisclosed number of people were searched for drugs. “These focused patrols will continue as we have been receiving a few reports of street robberies and thefts in that area,” said District Commander Chief Inspector Angelique Howell. She also issued a warning to people attending illegal sessions in the area to be more concerned about their personal safety, as several have been robbed coming to and from the events. She said the police can't be everywhere all of the time to protect every potential victim. Anyone who may have information on crime taking place in this area or who may have witnessed the discharging of the firearm or have informaiton on the street crimes is being asked to contact any of the police stations the RCIP hotline at 9497777 or or Crimestoppers at 800(TIPS) 8477. (CNS): Police were involved in a high speed chase across Grand Cayman early Sunday morning when a suspect at the scene of a disturbance in George Town sped off after the police turned up. The high speed chase began at the Compass Centre, Shedden Road, just after midnight last night and ended in Mica Drive, East End, when the 38-year-old driver was arrested. 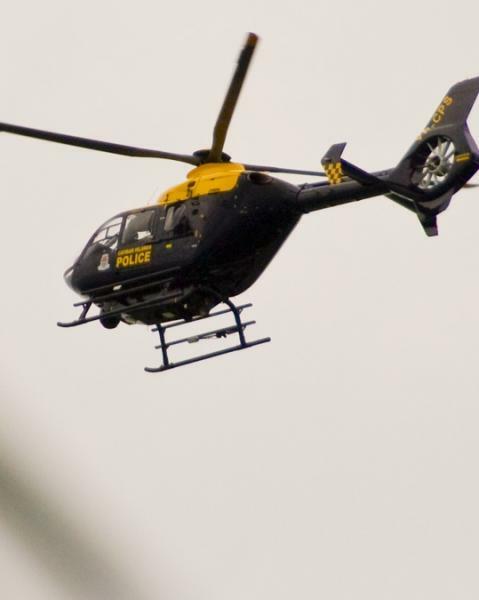 The driver was said to have reached speeds in excess of 90 mph as he was chased by the police helicopter while police patrol vehicles on the ground stayed a safe distance, an RCIPS spokesperson said. Police have not said what the man was suspected of or what had happened to bring officers to the scene in George Town. The RCIPS said that officers had “responded to a disturbance” off Shedden Road and on their arrival a man quickly left the scene in a Toyota vehicle and refused to stop for the police officers. The vehicle left George Town heading towards Bodden Town at high speed. The Air Support Unit was then deployed and followed the car along Shamrock Road, allowing cops on the ground to drop back. Despite having the cop chopper on his tail, the man continued to East End at speeds of 90 miles per hour, and switched the car lights off on John McLean Drive. But the helicopter crew continued to track the Toyota and directed the ground units to the car’s location. The driver sped off again in an attempt to avoid the ground patrols but the pursuit stopped in Mica Drive, which is a dead end. The driver was arrested by the Uniform and Operational Support Groups on the ground. The detained man was taken back to George Town Police Station, where he remains as the investigation continues. Anyone who may have information on this or any other crime is asked to contact any of the police stations the RCIPS hotline at 949-7777 or Crimestoppers at 800 (TIPS) 8477.